Today would like to share my review of Snail Street AC Trouble Mask from Snail Street that I purchased earlier from HiShop. You can check out my buying experience here. As I went on the net browsing and browsing I come across the hype of using snail mask. At first I was like huh? (Imagine my blur + bleh face) Seriously? People putting snail on their face? Do they smash the poor little snail just to look pretty? 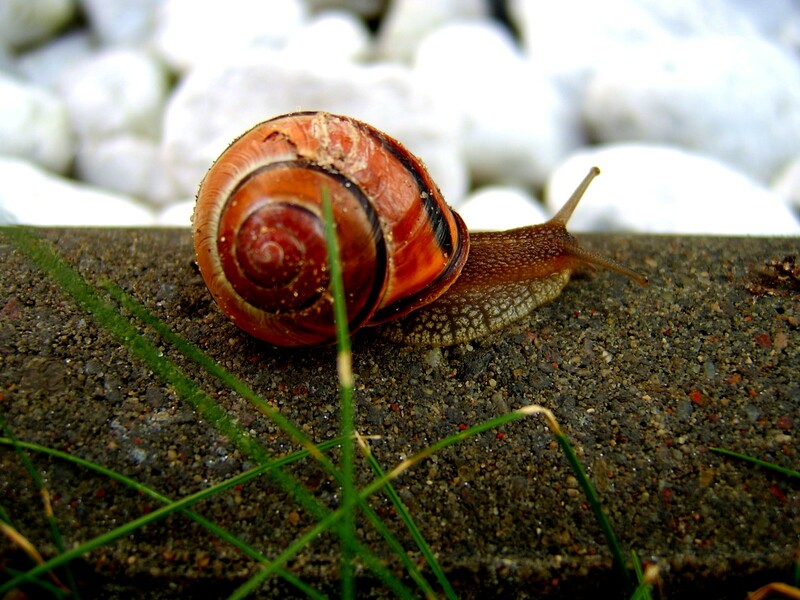 Thanks to internet and mr. google (our fav online library) I found out that In 2006, Chilean farmers reportedly noticed visibly smoother skin after handling snails they were breeding for the French food market. Packed with glycolic acid and elastin, a snail’s secretion protects its own skin from cuts, bacteria, and powerful UV rays, making mother nature’s gooeyness a prime source for proteins that eliminate dead cells and regenerate skin. How awesome is that? I also found out that Hippocrates (considered the father of medicine) recommended snails for skin care as far back as 400 B.C. He produced the earliest known snail cream with milk and crushed snails (how kesian) to treat skin redness. Anyway, this mask cost me RM 16.90 each (quite expensive for 1 sheet of mask) Actually the original packaging was 5 per box. Thanks to HiShop they selling per sheet. So, just for the sake of trying I closed my eyes and clicked during purchase. Pro : Something new worth to try out (considering all the hype), doesn't smell yucky (actually smell just like all the other processed mask), does make my skin felt hydrated. Con : A bit pricey (RM16.90 per sheet if you get if from HiShop), I don’t really notice great visible difference. Would you try it out? or Have you tried it out? what do you think? maybe your skin is already good to begin with =P. i guess maybe you can try the snake serum? yup.. it is interesting.. but I cant really guarantee no snail were harmed during the process..
Malaysia where can get snail mask? Pls advice thanks.